Responsibility for people and environment is near and dear to Reckhaus. At conferences, with publications or clip films – Reckhaus takes a stand for biodiversity and the protection of insects in various ways. 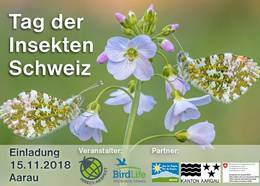 On November, 15th 2018 Insect Respect and BirdLife Switzerland held the first Day of Insects in Switzerland in Aarau. Speakers were, among others, Dr. Hans-Rudolf Herren (foundation Biovision, winner of The Right Livelihood Award), Bertrand Piccard (initiator and president of the Solar Impulse Foundation), Werner Müller (BirdLife Switzerland), Dr. Hans-Dietrich Reckhaus (Insect Respect), Hans Romang (BAFU), Remo Vetter (author and gardener), Fabienne Thomas (swiss farmers' association) and many more. 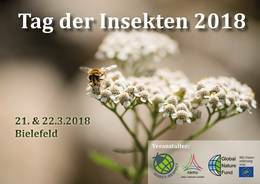 After the fruitful conference „The Value of Insects“, which took place in November 2017, numerous people met up in Bielefeld once again on the topic of insects dying. They came together to discuss and connect on the 22nd March 2018. As initiator of Insect Respect and CEO of the company Reckhaus, Dr. Hans-Dietrich Reckhaus introduced new cooperations and projects encouraging a different treatment of the six-legged animals. In Bielefeld-Sennestadt the Reckhaus GmbH & Co. KG created new insect-friendly habitats on the company grounds with numerous hiding places and food and hibernation opportunities for the six-legged animals. The new areas were inaugurated on the 21st March 2018 with an opening ceremony and guests. On the same occasion Dr. Hans-Dietrich Reckhaus opened the Insect Respect library with several standard works on the topic of insects. At the world’s leading biological fair, the „BioFach“, Insect Respect invited the visitors to explore the world from an insect’s point of view (Halle 7-214). The stand "Show respect for insects" was opened with a festive speech. In the course of the trade fair over 1,000 visitors took a pin in form of a fly with them and thus showed awareness of insect dying. Dr. Hans-Dietrich Reckhaus, initiator of Insect Respect, promoted responsible corporate action in his lecture „How companies can stop insects dying – a new way of treating insects and biodiversity“. He drafted the development of new business models: Dr. Hans-Dietrich Reckhaus, winner of the Swiss Ethic Award, regularly gives speeches on corporate responsibility and sustainability. 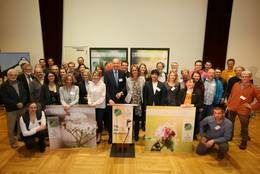 The Conference “promoting insects and biodiversity” is organized by Insect Respect and the Bertelsmann Foundation and will be held on 9th of November 2017 in Bielefeld. The conference language is German. Please check the German information on the INSECT RESPECT® Website for details. Dr. Hans Dietrich Reckhaus (2016): Warum jede Fliege zählt. Insect Respect (2017): Promoting Insects. Tips and measures for people interested in supporting insects. Experts from science, economy, civil society and media came to Bielefeld for this convention. Here you find videos and summaries. The Federal Agency for Nature Conservation included the „Day of Insects“ as good example of cooperation in its platform for action "Enterprise Biolodiversity 2020" (UBi 2020). The 8th CultureInvest Congress was held on 3rd and 4th November 2016 in Berlin. More than 450 decision-makers from business, culture, politics and media exchanged their ideas in Europe’s most important forum for cultural providers and cultural investors. 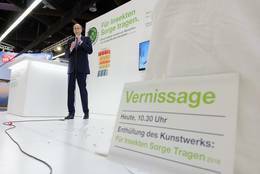 In the “Culture Lab – dialogue forum for business and culture” Dr. Hans Dietrich Reckhaus told the story of Insect Respect in his speech “Art as stimulus: How concept artists turned the business model of the Reckhaus Group upside down”. His cultural engagement had been highlighted in the Laudation at the European Culture Brand Awards 2015. This year’s panel was moderated by Thomas Helfrich, Head of Cultural Affairs at Bayer (in picture, right, with Dr. Hans-Dietrich Reckhaus). In the USA, too many biocides are applied and the number of insects is declining: More than 84’600 species are threatened. At the same time, the environmental consciousness, the organic market and the awareness for the value of insects are increasing. These are good reasons for Dr. Hans-Dietrich Reckhaus to travel to the USA. 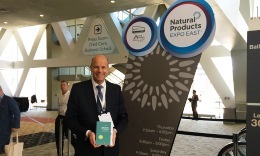 In September 2016, he visited the Natural Products Expo in Baltimore. In Germany, this Fair is also known as BioFach USA. On this occasion, the inventor of the quality mark Insect Respect presented the English version of his book “Warum jede Fliege zählt” as a preprint. “Why Every Fly Counts” can be pre-ordered at kommunikation@insect-respect.org. Between humans and insects, one can observe an ambivalent relationship: Do we evaluate these animals as rather useful or harmful? Which place do they take in the world and in the diversity of species and ecosystems (biodiversity)? What impact do climate change and the demographic development have: Does the number of insects increase or decrease? 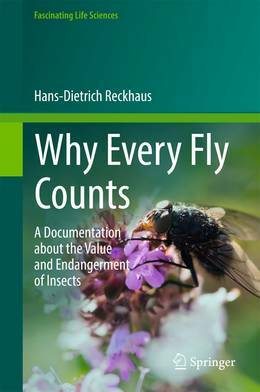 The documentation "Why every fly counts" from Dr. Hans-Dietrich Reckhaus illuminates the value and threats of insects. 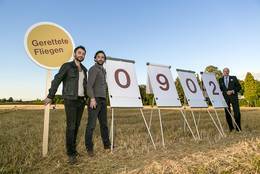 On 8th September 2015, the Reckhaus Group opened the first Insect Compensation Area in Switzerland. The prime minister of the Swiss canton Innerrhoden, Roland Inauen, and numerous guests participated in the inauguration. The vegetated flat roof with its 500 square meters is designed as an ideal habitat for insects. 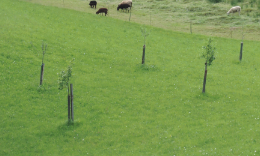 It provides different substrata and structures – such as woodpiles and piles of stones – for a large diversity of animals and plants that are rather rare in the region of the Appenzeller Land. Thus, the area facilitates a compensation of the insect loss that is caused by the utilisation of biocide products. Insects make nature more ruggedised. By pollination, they keep the plant kingdom alive. They produce our food and textiles and get rid of our «waste». The animation video "Little giants" by Reckhaus shows in four minutes, why hy insects deserve more respect. For Reckhaus, active involvement for man and nature goes beyond sustainable product neutrality and ecologically-neutral insect protection. 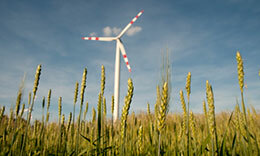 For this reason, as of the 1st of January 2014, the Bielefeld location – where the company has its greatest energy demand – will be supplied entirely with green energy. In so doing, Reckhaus is providing a contribution to the energy turnaround. While installing a gas tank in the ground at the Bielefeld location, Reckhaus once again seized the opportunity to emphasise the corporate commitment of acting in an ecologically friendly manner. 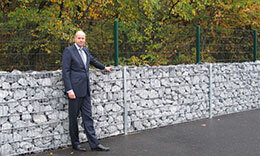 Instead of the minimal version of a concrete wall, which has to surround the tank stored within, a gabion wall filled with stones has been erected. Not only is this more attractive: As a living space, it also offers insects the perfect habitat. Every year, the employees of Reckhaus AG in Switzerland drive 210,000 kilometres by car for private and business purposes. In so doing, they emit approximately 60.8 tons of CO2. Their boss decided to give them a respectful gift for Christmas, to compensate this emission for the period of one year. For this purpose, Dr H.-D. Reckhaus had 61 fruit trees planted by organic farmers in the region. By means of this, the CO2 emission can be compensated there where it is caused. 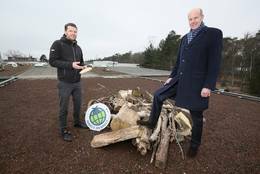 Since July 2012 the flat roof of the administration building of Reckhaus GmbH & Co. KG in Bielefeld has been an insect-friendly zone: The first INSECT RESPECT® compensation area. The investment enables extensive planting on 200 square meters, in addition supported by little hills and small structures. Reckhaus developed together with the lateral thinking concept artists Frank and Patrik Riklin the action "Saving flies in Deppendorf". In one day, the residents of the village near Bielefeld (Germany) saved 902 flies. The action served for the preoccupation about the question: What is the value of an insect? The focus was no longer placed on the control, but the affectionate view – sharpened with the means of art – of the world of insects.